I hate when someone comes up to you and says Wow, you look tired. Basically what they are saying is Boy, you look like sh*t! In my adult life, I am not the best of sleepers. I have tried it all, but not much works for me. Getting to sleep is never a problem, its staying asleep is what I struggle with. I sleep every night from like 10p-2a. Like clockwork, prob because I sleep next to a chainsaw....I get up at 2a...come to the couch restart Kathie Lee and Hoda and usually I fall right back to sleep till a whopping 5:30am. Sometimes, and more often the last couple of weeks, that fall back asleep hasn't been happening. So, I have been looking for ways for the Sandman to Bring Me A Dream. One thing that is really important for me is to get all the things I have to do the next day out of my head and either on paper or just really inline. I really liked this article and checklist. Get it out of your head on paper! Yoga is a wonderful way to relax. I hate that I am a bad girl and don't make enough time for it. 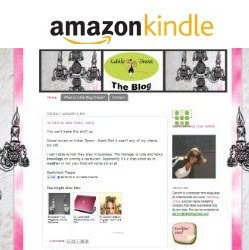 Check out this Huffington Post article on Yoga for Sleep. Some studies, just preliminary, do show that chamomile could have anti-anxiety effects, A warm cup of chamomile tea will relax you off to a blissful slumber. 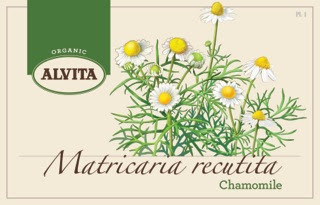 Chamomile is onne of the most popular herbal teas today and has been traditionally used for calming and relaxation. My new favorite is Alvita.Alvita is dedicated to choosing only the highest-quality organic, wild-crafted or cultivated botanicals. Red Clover – With a long history of use in Europe and North America, naturally occurring isoflavones in red clover make it particularly popular with women. Ginger-Peppermint – The rhizome of the ginger plant has been used for centuries in the East for its digestion-supporting properties. Peppermint leaves are also popular in many countries and are brewed as a tea to support digestion. Alvita has combined these well-known and flavorful digestive herbs to help soothe an unsettled stomach. Decaffeinated Green Tea – made with premium-quality, organic green tea leaves that have been gently decaffeinated, and exudes an earthy and mildly astringent flavor and aroma. With the rising popularity of herbal teas, consumers more than ever are looking for quality tea brands that deliver taste and health benefits. With a 90-year history of making single herb teas that deliver premium flavor and herbal benefits, Alvita is a brand that consumers can trust. All Alvita teas are third party certified organic, gluten-free and kosher. Each Alvita tea is labeled with individualized preparation instructions to ensure that the most appropriate servings are used, delivering premium flavor and herbal benefits. Alvita understands that herbs are gifts from the earth and takes this stewardship seriously by offering carefully harvested teas in earth-friendly packaging. Hand-illustrations adorn boxes made using 100% recycled paperboard, and the English pillow-style teas bags are oxygen-bleached, not chlorine-treated. Find out where to buy Alvita teas, the oldest single-herb tea brand in the United States, by visiting here and on their Facebook here. What are your tricks for getting (or staying) asleep? ?